The UNESCO Institute for Lifelong Learning (UIL) is located in a beautiful historic villa in Hamburg, Germany, and is one of UNESCO’s seven education Institutes. Its Director is Arne Carlsen and it employs fifty people from twenty-six countries. UIL supports Member States in the field of lifelong learning with a focus on adult and continuing education, literacy and non-formal basic education. It pays special attention to UNESCO’s Global Priority Africa and Global Priority Gender Equality. It has one of the largest libraries in the world within its specialized field and hosts the world’s longest-running journal of comparative education and lifelong learning. 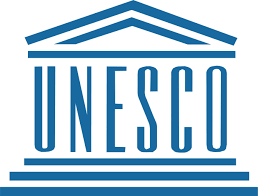 Within UNESCO’s broad educational mandate, the mission of the Institute is to promote the recognition of and create the conditions for the exercise of the right to education and learning. As a non-profit international Institute of UNESCO, the Institute undertakes research, capacity-building, networking and publication on lifelong learning with a focus on adult and continuing education, literacy and non-formal basic education. UIL responds to the concerns of all UNESCO Member States, giving priority to least developed countries. The Global Education Monitoring Report (the GEM Report, formerly known as the Education for All Global Monitoring Report) is an editorially independ nt, authoritative and evidence-based annual report published by UNESCO. Its mandate is to monitor progress towards the education targets in the new Sustainable Development Goals (SDGs) framework. The substance of the GEM Report is developed and its quality assured by an experienced team under the leadership of the GEM Report Director. The movement to ensure a sustainable future for the planet has set forth an ambitious universal vision for development, including an education goal and 10 specific targets. The GEM Report tracks progress and considers effective policies in relation to these targets, deriving evidence-based findings and recommendations for policy-makers and other stakeholders to use in their work. It serves as an invaluable global resource and advocacy tool, promoting informed dialogue and increasing public awareness of education’s central role in achieving sustainable development, and the challenges to achieve quality, equitable and inclusive lifelong learning for all by 2030. The GEM Report draws on the latest available data and evidence, and commissions extensive research from leading experts around the world. The Report is launched in over 50 countries, receiving significant press coverage and garnering visibility in specialist journals and social media. Alongside the full GEM Report, many additional related publications and online tools are produced to enable different stakeholders – for example, teachers, policy-makers, youth, civil society organizations and donors – to benefit from its research. The GEM Report has also developed the World Inequality Database on Education (WIDE) to draw attention to the extremely high levels of education inequality across countries and between groups within countries, with the aim of helping to inform policy design and public debate. The GEM Report influences national, regional and international policy-makers in education and finance as well as planners, policy analysts, aid agencies, foundations, UN organizations, NGOs, teachers, experts, researchers, the media and students. The International Organisation of La Francophonie was created in 1970. Its mission is to embody the active solidarity between its 84 member states and governments (58 members and 26 observers), which together represent over one-third of the United Nations’ member states and account for a population of over 900 million people, including 274 million French speakers. IOF organises political activities and actions of multilateral cooperation that benefit French-speaking populations. Its actions respect cultural and linguistic diversity and serve to promote the French language, peace and sustainable development.